We're still waiting for Audi to add more fuel-efficient Q5s to the ranks. A turbo four-cylinder model is the most likely candidate, but diesel versions are offered in Europe and Audi's developing hybrid powertrains for similar model lines. The 2010 Audi Q5 tops TheCarConnection.com's ratings, thanks to sleek lines and a weekend-worthy cabin-though the gimmicky handling features would be better left behind. 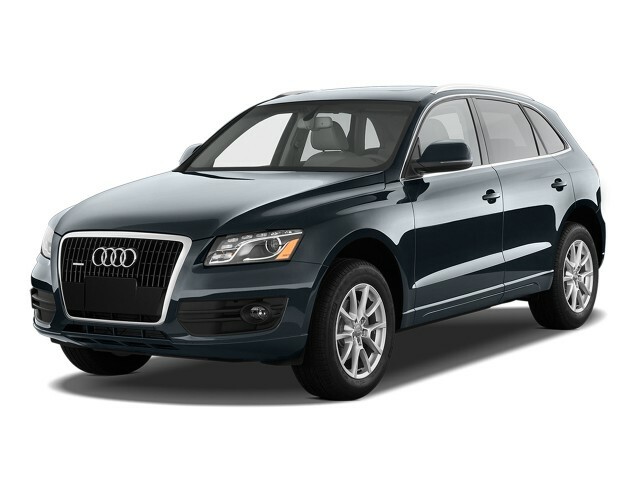 TheCarConnection.com has researched reviews and driven the 2010 Audi Q5 to bring you this comprehensive review of its safety, performance, styling, comfort, and quality. TheCarConnection.com's expert editors also drove this and other luxury sport-utility vehicles to compare and contrast the Audi Q5 with other crossovers in its class. The companion full review brings you a condensed look at Q5 reviews from other sources to help you in the research and buying process. The first compact luxury crossover from the brand, the 2010 Audi Q5 takes on the likes of the Mercedes-Benz GLK and BMW X3 head to head-not to mention the class sales leader, the Lexus RX 350 and RX 450h crossovers. The Q5 is, for now, available in one configuration: a five-door wagon with a V-6 engine, an automatic transmission, and "quattro" all-wheel drive. The 2010 Audi Q5 sees a very slight price increase to $38,175, including destination charges. In a class of handsomely sculpted all-weather wagons, the 2010 Audi Q5 stands out. It's a softly sculptured piece, using height and stance to convey SUV capability. As with the Volvo XC60, it's the opposite tack taken by the Benz GLK and Land Rover LR2, which wear more straight-edged sheetmetal. If its massive grille were a little less imposing, the Q5 would be as sophisticated as Audi's sedans-which also suffer from the same prominent nose. The slope of the roofline and the sedan-like tail lamps (with LED lighting) walk the best line between sport-ute size and German-wagon efficiency. The cabin's a fine example of a well-executed driving environment. There are a few too many small buttons, but Audi frames them in metallic trim, wood, and coordinated leathers and plastics to give the somewhat cluttered dash a unified, rich look. The 2010 Audi Q5 performs near the top of its class. A 3.2-liter, 270-horsepower V-6 is mated to a six-speed automatic with manual gear selection and all-wheel drive. The engine's fairly sweet-revving, though a little louder and more vibration-prone than you might expect-just like the six-cylinder in the latest Lexus RX. Gear changes are quick and mostly trouble-free, unless you choose a downshift manually in Tiptronic mode at the wrong power point. The Q5 will obey, so long as it doesn't frag its engine doing so. There are still no paddle shift controls, and a four-cylinder turbo option would be a welcome addition to the lineup. As it stands, though, the V-6 Q5 accelerates to 60 mph in 6.7 seconds-well into sports-sedan territory. With all-wheel drive, about 8 inches of ground clearance, and hill descent control, the Q5 can handle moderate all-terrain activity, but it's clearly not meant for anything more than casual hill climbing. Towing capacity is 4,400 pounds, and fuel economy is 18/23 mpg. TheCarConnection.com observes just over 18 mpg in mostly city driving. Handling and ride are more satisfying than in other luxury crossovers, but not ideal. Audi sends more power to the rear wheels by design (with a 40:60 power split to the AWD system), and the Q5 clearly wants to feel responsive and sporting. But as with other Audis, most Q5s are equipped with Drive Select. The electronic-control system allows drivers to dial in choices for steering feel, transmission shift speed, and throttle quickness-but none of the settings seems as good as a sole, well-developed ride and steering setup. With Drive Select in "auto" or "sport" mode, steering feel is too heavy on-center. In Comfort mode, ride quality doesn't soften enough to justify itself. TheCarConnection.com has driven an Audi S4 without Drive Select, and ride and steering feel seem in finer tune. The 2010 Q5 ferries passengers and baggage smartly in a comfortable, roomy cabin. The largest vehicle in its class save for the 2010 Lexus RX, the Q5 grants front passengers more than enough leg- and shoulder room; headroom is numerically mid-pack, but even with a panoramic sunroof, the Q5 still offers enough height for six-foot drivers and passengers. The seats themselves are firm and adjust for great comfort, even in back, where the passengers can recline for long-trip ease. The second-row seats split and fold to create more cargo space, but even when five people (four adults, really) are seated inside, there's enough cargo room for four roll-on suitcases and a clear view out the rear hatch glass. Small storage abounds, down to the 1-liter cup holders molded in all the doors, the console, and the fold-down armrest in the backseat, so hydration isn't an issue, unless you're a sea creature. The Q5 has made fast work of all safety tests. It rates five stars in all ratings from the National Highway Traffic Safety Administration (NHTSA) and the Insurance Institute for Highway Safety (IIHS), which also names it a Top Safety Pick. Standard front, side, and curtain airbags combine with anti-lock brakes as well as stability and traction control for those top safety ratings; Audi also offers a rearview camera and parking sensors to cut down on low-speed mishaps. For $38,175, the 2010 Audi Q5 arrives in showrooms outfitted with standard features like three-zone climate control, 18-inch wheels, an AM/FM/CD player, Sirius Satellite Radio, leather seating, wood trim, heated power mirrors, and a tilt/telescope steering wheel. New features include 20-inch wheels, ash wood trim, and ventilated front seats. 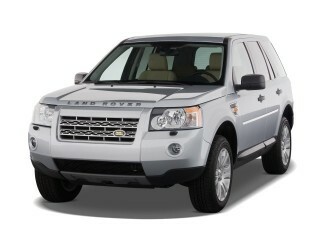 TheCarConnection.com tested a mechanically identical 2009 Q5 with a Premium Plus package, which added $4,300 for a panoramic sunroof, a power tailgate, power heated seats, Bluetooth connectivity, an iPhone/iPod interface, and a six-CD changer. Atop that, a $3,000 Navigation package tacks on a hard-drive-based GPS mapping, parking sensors, a rearview camera, and a DVD player. The $2,950 Drive Select package is the one feature editors wish had been omitted from the options list; the 14-speaker, 505-watt Bang & Olufsen stereo system would have been more welcome. The 2010 Audi Q5 stands sleekly, with a fast wagon roofline and a charming, richly trimmed cabin. The 2010 Audi Q5 is more subtly good-looking than most sedans; its softly sculptured lines use height and stance to convey all the right SUV messages. In the eyes of the Automobile Magazine reviewer, "the Q5 is a very handsome, even pretty, vehicle, with good proportions and exquisite detailing in items like the LED headlights and taillamps." MotherProof goes slightly more agog, proclaiming, "I'm going to go ahead and say it: The Q5 is super cute...It's so good-looking that it robbed me of my dignity; I couldn't help but squeal and say things best represented by teenagers' texting (OMG i <3 it!)." Edmunds says the new Q5 is "stylish, luxurious and powerful, yet this is an Audi that's content to be itself, rather than striving to be an alternative to a BMW or a Mercedes-Benz or even a Porsche." Audi's traditionally well-executed cabins make sense of what could be a lot of little buttons. Framing them in metallic trim, applying wood (like the maple in the vehicle tested by TheCarConnection.com), and matching leathers and plastics closely gives the somewhat cluttered dash a unified, rich look. MotherProof is, again, very favorable about the Audi's interior aesthetics: "The Q5's interior is pure luxury. In my test car, the seats were a rich-looking, creamy Cardamom color, and the dash was trimmed in blond maple wood. It was gorgeous. When I first saw the interior, I actually said, ‘Ooooohhhh,' in front of the delivery guy. It's that pretty." 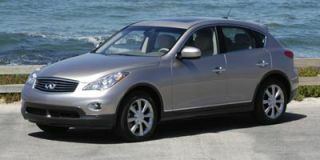 ConsumerGuide concurs, saying, "The cabin is dressed in standard leather and wood trim and imparts an overall classy air. Materials quality, design, and workmanship are top-notch." The compliments don't end there; Automobile Magazine also gushes about the Q5's interior: "As in all contemporary Audi models, the Q5's interior is beautifully rendered in quality plastics, supple leather, and precisely engineered controls. It's a very pleasant place to be." Automobile Magazine comments that while Audis are common in Spain, "people on the streets of Valencia took favorable notice of the Q5. We expect that Americans will like it, as well." The combination of six cylinders and quattro gives the 2010 Audi Q5 quick feet, but its driver-selectable handling is gimmicky. 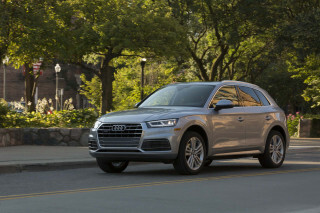 The 2010 Audi Q5 performs with a single powertrain and all-wheel drive, but its Driver Select adjustments are a point of contention for car reviewers around the Web, including TheCarConnection.com. Unlike the Benz GLK or Lexus RX, the Q5 comes with only one drivetrain: a 3.2-liter V-6 mated to an automatic six-speed transmission. Edmunds says "though this engine seems to lack any sort of personality, it delivers 270 horsepower at 6,500 rpm and 243 pound-feet of torque at 3,000." Motor Trend compliments the Q5's engine: "The new V-6 revs freely and delivers its power in a cushioned lump of torque thanks to reduced internal friction and Audi's innovative valve-lift technology, which enhances cylinder filling on the intake side and helps deliver a European-cycle average of 25 mpg and more than sufficient pulling power." 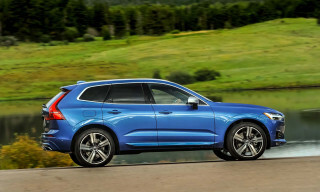 The Q5 gets to 60 mph from a standstill in 6.7 seconds by Audi's estimates, and in 6.5 seconds according to Motor Trend. Reviewers also like the six-speed automatic. Edmunds asserts "you don't have to twist it hard to get peak output, as the standard six-speed automatic sweeps you along on the broad crest of the torque curve." 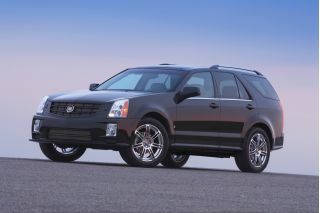 ConsumerGuide remarks, "with its responsive 6-speed automatic, it delivers ample smooth, linear power on the highway." The 2010 Audi Q5's handling also wins mostly praise from reviewers. Motor Trend says, "Audi wanted excellent handling and so took special care to lower the car's stance for a more gravity-friendly experience in the twisties. Even if you're going small, though, size still matters." And ConsumerGuide remarks, "even in cornering, Q5 is fairly nimble and exhibits only minimal body lean. Steering is firm and direct; braking is strong and linear. A tight turning radius eases closes quarters maneuvering." Then, of course, there's the benefit of Audi's electronics. "The Q5's electronics configure throttle response, transmission shift points, steering effort and suspension setting according to four different parameters: Comfort, Automatic, Dynamic and Individual," says Edmunds. "This system might sound like a gimmick, but the difference in the way the Q5 behaves is immediately noticeable whenever you switch from mode to mode. When it came to acceleration, we discovered a half-second difference in quarter-mile time between Automatic mode with the stability control engaged and Dynamic mode with the stability control switched off." In TheCarConnection.com's opinion, the differences are immediately noticeable-but everyday drivers may feel that none of the adjustments are ideal, particularly the heavy-feeling steering. Edmunds Inside Line concurs, noting, "The steering is precise, but...the variable-ratio rack feels a little artificial," and "Even when we put the adaptive suspension in Comfort mode using the Audi Drive Select (ADS) interface that's part of the optional Multi Media Interface (MMI), the ride is simply too stiff, especially for those in the backseat." "Serious off-roaders," says Motor Trend, "will want to know the Q5 has a ground clearance of 7.87 in., a fording depth of 19.68 in., approach and departure angles of 25 degrees, an unloaded ramp breakover angle of 18 degrees, and axles that can articulate through a range of 6.3 in. Those with gravel driveways or occasional snow will need to know nothing more than how to turn on the vehicle and choose a gear." Quality permeates the 2010 Audi Q5's usable, sizable cabin. The 2010 Q5 sports the passenger room, cargo space, and quality construction that well-heeled buyers will appreciate-and demand-in their $38,000 crossover ute. Though the Audi Q5 arrived fashionably late to the crossover showdown, Audi's timing "means that the late-arriving Q5 is formed from Audi's newest architecture, which also underpins the latest A4 sedan as well as the A5 and S5 coupes," Car and Driver points out. Motor Trend says, "Built on the new A4 platform but [is] longer, wider, and, of course, taller than the sedan; the Q5's dimensions are at or near top of class in every dimension except height." According to Edmunds, the Q5 is "182 inches overall, 74.8 inches wide and 65.2 inches high. It's a couple inches longer than a BMW X3, Land Rover LR2 and Mercedes-Benz GLK, roughly the same size as an Infiniti EX35 and Volvo XC60, and a handful of inches shorter than a Lexus RX 350." "Of all its competition," says Edmunds, "the 2010 Audi Q5's 110.5-inch wheelbase is the longest, which helps maximize interior passenger volume. Indeed, the Q5 affords 101.5 cubic feet of living space, with 29.1 cubic feet of cargo capacity behind the second seat and 67.3 cubic feet with the second seat folded." Motor Trend agrees that the Q5's size is largely responsible for its comfort: "The Q5 sits on a best-in-segment 9.22-ft wheelbase, a major contributor to the Q5's luxurious ride." Most reviewers find great comfort in the Audi Q5's seats. Up front, there are few complaints. ConsumerGuide says the Q5 offers "cushy, supportive front seats feature standard 12-way power adjustments for increased comfort." Car and Driver does wish that "the front seats would tilt rearward a bit more and offer more thigh support, but the driving position is still commendable. The MotherProof reviewer is most impressed: "I sunk into the heated leather driver's seat and easily found my perfect driving position, thanks to the eight-way power adjustments with four-way lumbar support. The steering wheel both tilts and telescopes and has controls for Bluetooth and the audio system." About the rear seats, MotherProof observes, "There's some minimal bolstering on the seats, but the bench is mostly flat, so installing rear-facing infant seats, child-safety seats and booster seats is super easy. Audi's famous, fabulous Latch connectors are right out in the open, no digging required." 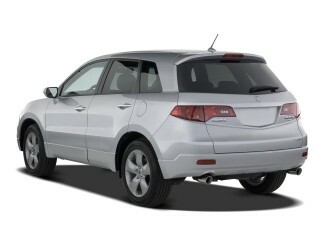 ConsumerGuide reports that, in back, "tilting and sliding 60/40 rear seats ease entry and exit and passenger comfort." Car and Driver notes "back-seat occupants will find a split folding bench that moves forward or backward to increase legroom; there is also a reclining backrest." Ample storage space awaits those passengers-not only in the cargo hold, but in the bins and cubbies molded into the Q5's interior trim. 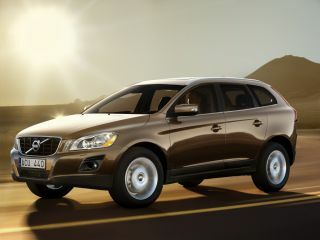 ConsumerGuide observes the "Q5 has a wide-mouthed hatch and fairly low floor to ease cargo loading." However, they feel "small items storage is just OK and is comprised of a few cupholders, a smallish center console, a decent-sized glovebox, and removable underfloor bins behind the second row." MotherProof approves of the Q5's "roomy and flat," cargo area, which "comes with a hard, removable cargo cover." The Q5 is standard-issue Audi, with impeccable build quality. Edmunds declares, "As always, the aesthetic experience is wonderful," as well as "the combination of high-quality, soft-touch materials," and "design architecture that doesn't try to visually intimidate you." Some powertrain noise is noted in a few reviews, and ConsumerGuide complains about the Q5's light wind noise: "the standard roof rails with removable crossbars induce an intolerable amount of wind noise at highway speeds. Without crossbars, wind noise isn't noticeable." The 2010 Audi Q5 ranks among the best SUVs for crash safety, and its tall glass areas provide good outward visibility. Audi's 2010 Q5 crossover is among the safest vehicles in its class. The Q5 earns five stars in all ratings from the National Highway Traffic Safety Administration (NHTSA), and the Insurance Institute for Highway Safety (IIHS) names it a Top Safety Pick. Safety features abound on the Q5. ConsumerGuide lists "ABS, traction control, antiskid system, curtain side airbags, and front and rear side airbags" as available safety options. Audi also offers a handful of options, including side airbags for the rear seats and a rearview camera, which wows the MotherProof crew: "Not only does it have a great image, but it superimposes guide lines on the image to show your current path of travel. Never has it been so easy to tell if you are going to make it into that tight parking spot." Even without the camera, visibility in the Q5 is "commanding," says Edmunds, "obstructed only by the outside rearview mirrors." Bluetooth and iPod connections are options, but availability gives the 2010 Audi Q5 a state-of-the-art set of features. The 2010 Audi Q5 sidles up to potential buyers stuffed with a plethora of standard features, as well as a few options that can boost its price to nearly $50,000. Automobile Magazine lists standard features as "power seats, windows, and locks; leather upholstery, a ten-speaker stereo, 60/40-split rear seats that recline and also slide fore and aft by four inches." Audi lists other standard features for 2010 as including Sirius Satellite Radio; LED taillamps; heated power mirrors; wood trim; steering-wheel multifunction controls; and three-zone climate control. The base Premium edition is augmented by a $42,225 Premium Plus edition that adds "bi-xenon headlights and a power-operated tailgate, among other items," Automobile reports. Audi's music interface with iPod controls and Bluetooth are standard on this edition, as is a HomeLink garage door opener. A $49,675 Prestige edition adds "keyless start, a blind-spot detection system, nineteen-inch wheels, and a 14-speaker, 504-watt, Bang & Olufsen stereo system," Automobile reports. Automobile also notes on some models, there's a "new-and-improved version of Audi's MMI, or Multi-Media Interface, system that controls climate, radio, and navigation functions through a central knob and a display screen." Regarding the MMI system, MotherProof says it "is easier and more intuitive than ever. It even understands voice commands, including statements like, 'I need coffee.'" MotherProof's crew admires the panoramic sunroof, too: "The Q5 almost feels like a convertible when the sunroof is open," and "the wind buffeting isn't too bad, at least at moderate speeds." Motor Trend notes that stand-alone options include "bi-Xenon headlamps; a power tailgate; the largest sunroof in class; sideview assist; 19-in. wheels; Audi Drive Select; and a 505-watt Bang & Olufsen sound system with 14 speakers and digital radio reception." Audi's media site lists a handful of new features for the 2010 model year, including 20-inch five-spoke wheels; a Luxury package for Prestige editions that includes more leather trim and ventilated seats; and new "fine grain ash" wood trim.